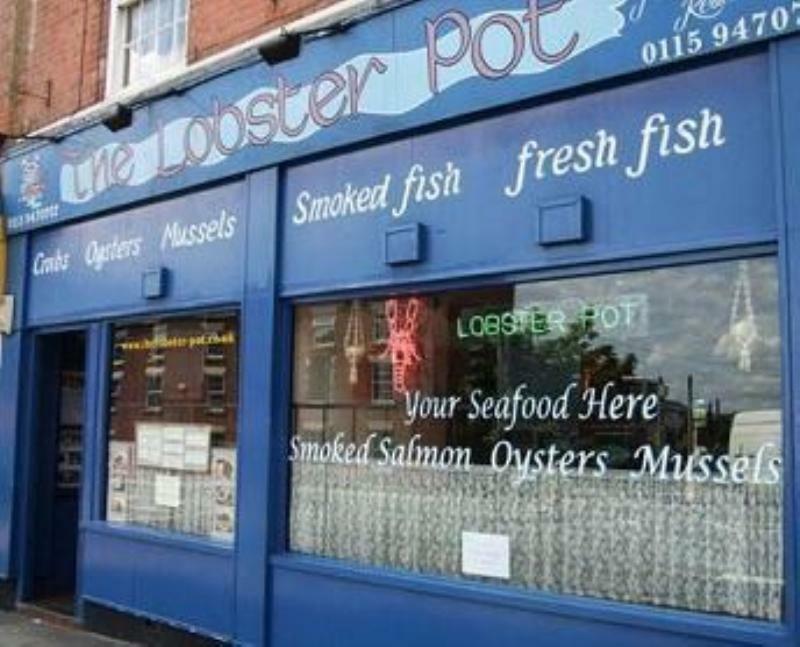 A bright, maritime-blue frontage marks out the The Lobster Pot, an unassuming restaurant on the Mansfield Road just out of Nottingham city centre. Inside it feels rather exotic, with ethnic carvings and artefacts, sturdy wooden furniture and lots of piscine paraphernalia highlighting the kitchen's intentions. Seafood is the main business of the day, and many dishes are given an oriental twist in the tail. Expect anything from grilled oysters and garlic butter or deep-fried squid with chilli dipping sauce to moules marinière, grilled lobster or hot-smoked salmon 'braden rost' with whisky and horseradish sauce.